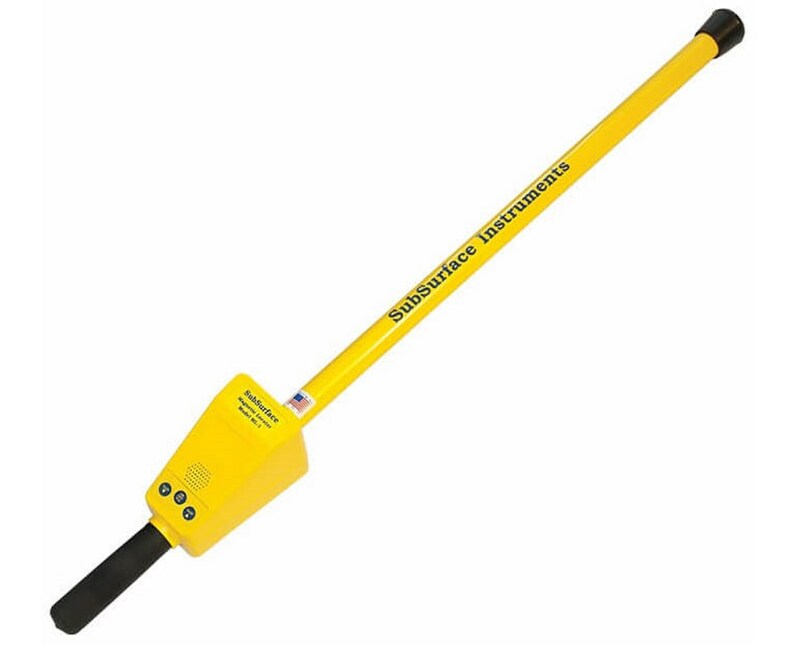 The SubSurface Instruments ML-1 Magnetic Locator 18ML-1 detects hidden or underground objects made of iron or steel. Objects made of these materials are sometimes referred to as ferrous or ferromagnetic. It can identify underground iron and steel utilities up to eight feet. With the ML-1 magnetic locator you can adjust its sensitivity as well as its audio tone volume. 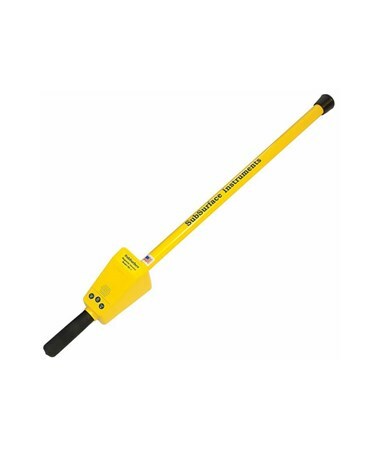 Single-hand operation, long battery life, and 100% waterproof construction make this magnetic locator a useful tool for any job. When the ML-1 detects the magnetic field of an object you can tell by listening to the magnetic locator’s audio tone. The audio tone emits from an actual speaker and increases in frequency according to the strength of the signal. With the SubSurface ML-1 magnetic locator three-button keypad, you can do more than just power the unit on or off. You can also adjust its locating sensitivity up or down. There is also a volume button you can press and hold to cycle through available levels for your audio tone volume. This magnetic locator is designed to be operated with one hand. So, you can control functions by pressing buttons on the keypad with your thumb. And weighing just two pounds, you can easily carry the magnetic locator with one hand. Two 9-volt batteries power the SubSurface ML-1. With intermittent usage, your batteries will last for 40 hours. Constructed of strong aluminum "MonoTube" construction and ABS injection-molded plastic, the ML-1 can withstand rough environments while maintaining its accuracy. It can even locate in rainwater or snow. 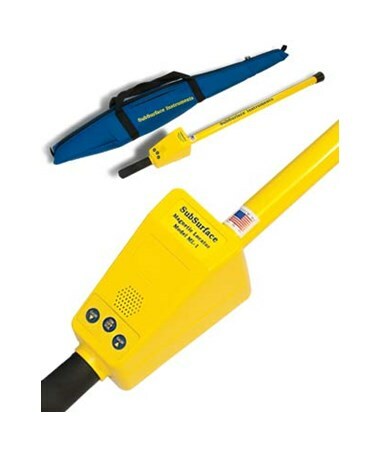 Along with the SubSurface ML-1 magnetic locator you will also receive two sets of 9-volt batteries, a soft case, manual, and 7-year warranty.